DoubleTree by Hilton Austin – SOLD OUT! The College’s block for this event is sold out. We are unable to cover any rooms booked after July 27. 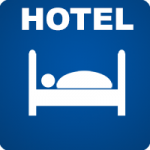 Rooms may be available a the hotel via the link below, but know participants who reserve rooms / register after July 27 are responsible for all hotel charges. Lodging for Preceptor-­faculty ONLY , not covered for Residents, preceptors who live in the greater Austin area, or anyone who is not a current or applying UT Austin preceptor. The college covers hotel room rate for one night only. Any additional fees or charges must be covered by the preceptor. Reservation will require a credit card for the reservation. The college covers double occupancy only. As in the past, if you do not have a roommate in mind, one will be assigned. If you have a preferred roommate who is one of our preceptor faculty, let the hotel know when you make your reservation. If you prefer not to have a preceptor faculty roommate, or if you choose to bring one or more guests, you will be charged for the other half of the room (approximately $80+taxes/fees). Anyone who is found not to be a current UT Austin preceptor or currently applying to become a preceptor will be charged in full for room fees. Additional Nights: Registrants will be responsible for all fees for additional nights. A special room rate of $145.00 per night + tax and fees is available for Friday and Saturday nights if booked prior to July 27, 2018. Transportation Costs: Costs for transportation and all non-­conference activities are the responsibility of the preceptor. Click here to start your Online Hotel Registration! Or call the hotel directly at (512) 454-3737 or (800) 347-0330 and refer to the UT Austin College of Pharmacy Preceptor Orientation and Training Conference to book a room at the special group rate. Reservations must be made by July 27 to receive the special group rate. Deadline for hotel rooms has passed. Any reservations made after July 27, note all rates and fees are the responsibility of the registrant. Complimentary parking is available on-site in the hotel parking garage, for both day participants and overnight guests who are attending the conference.